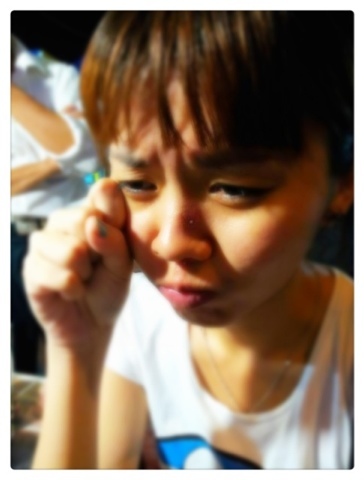 Yeah, just got my 2 moles removed at night market just now, and that's just so bloody stinging painful!!! Totally unlike what the uncle say, like bitten by ants. No no no!!! Not ants but more like being sting by a bee or wasp or something. Been wanting to remove the two moles because it's not nice to see, and two, according to the feng shui of face, one mole blocked my fortune and another one will endangers me if I go swimming or doing water activities. I'm not that superstitious but believe it or not, right? No eggs no seafood no ginger no nuts for me for a week. Gotta really watch my diet for a beautiful recover. Can still feel the leftover pain. Ouch!